It's beginning to look a little better organized on satellite pictures. 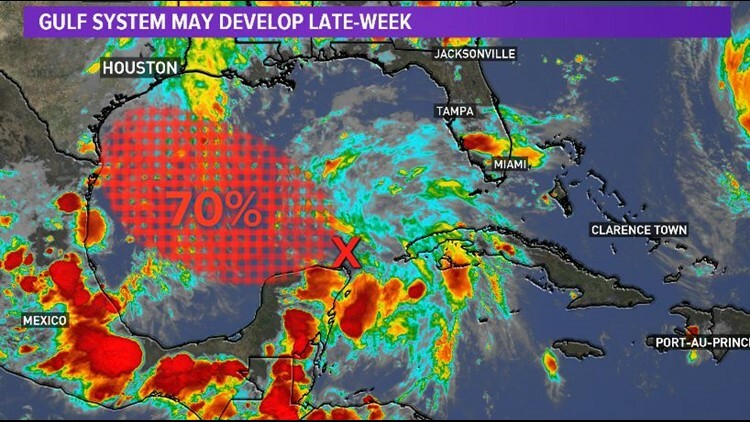 Ships in the area report strong southeasterly winds in the Yucatan Channel, and pressures have been dropping over the northern Yucatan peninsula today. All signs that the 'disturbance' is getting her act together. I say 'her' because the next name on the list is 'Joyce.' 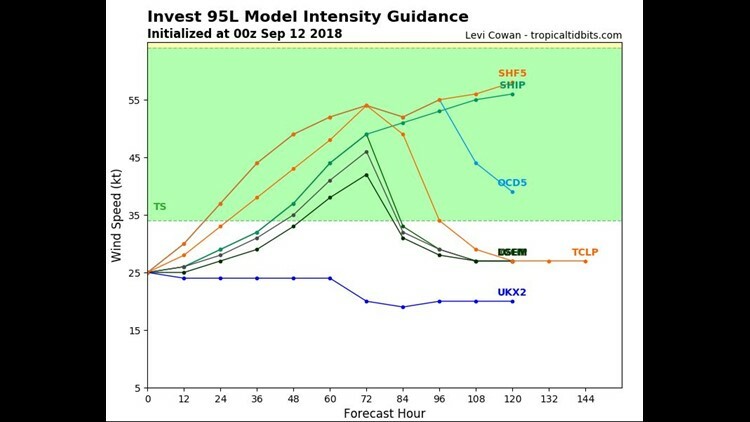 Looking at intensity forecasts from the National Hurricane Center (above) this evening show a good chance that winds may reach tropical storm strength before the system makes land fall Friday evening. 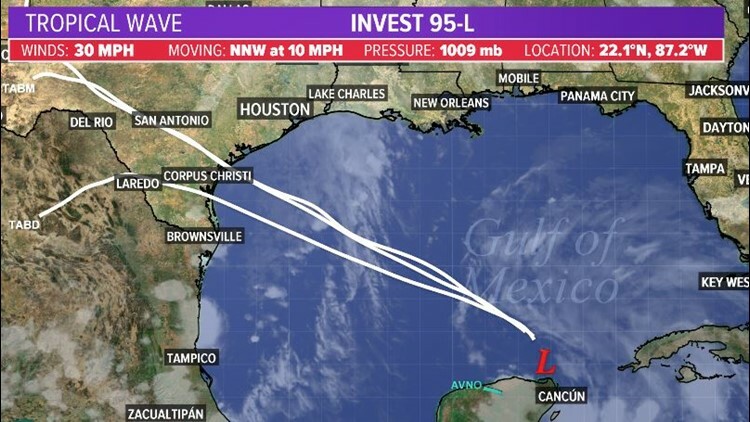 That landfall would most likely be in south Texas, between Brownsville and Rockport, as early spaghetti plot models suggest (above). 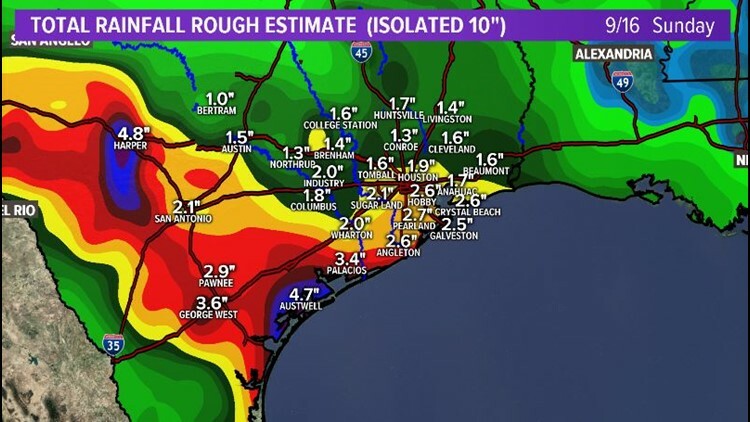 If this scenario plays out, the heaviest rain (above) would fall on the Texas coastal bend and inland toward San Antonio. That's not to say we here in Houston wont get rain. We may see widespread 2"-4" but should avoid the isolated 10" totals possible further south.